Noticed how Hailey Baldwin has been a red carpet regular lately? Well, by popular request, it&apos;s time we explored her beauty transformation with a Before & After! First of all, you might be wondering... who IS Hailey Baldwin? You might say she got a head start, hailing from Hollywood royalty. Her dad is actor Stephen Baldwin; her uncle is &apos;30 Rock&apos; star Alec Baldwin; and she counts Gigi Hadid, Miley Cyrus, Drake, and Kendall and Kylie Jenner as close friends. So how did she become part of the new generation of "It Girls"? Let&apos;s see! Hailey Baldwin at the 2011 MAGIC clothing industry convention. Later that year, Hailey got bright blonde highlights, which make her look more familiar. (I don&apos;t think I&apos;d have recognized her at all in the first picture!) However, eyebrows can really change a face and hers are plucked much thinner here compared to today. 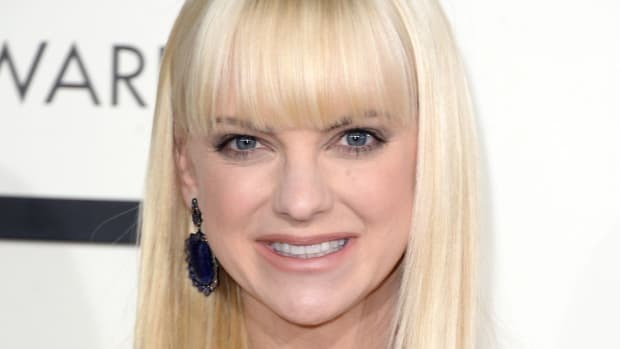 I&apos;m also almost certain that she altered this nose. Hailey Baldwin at the 2012 Sherri Hill show. This is from Hailey&apos;s modelling debut. She was only 15, but the styling makes her look far more mature. Her blonde is now an all-over colour, and it really suits her (even though I&apos;d normally say that sticking within a few shades of your natural hue is most flattering). There&apos;s something about a brown-eyed blonde that is so unique and pretty! But back to her face... she&apos;s started to grow out her brows, and I do believe this is the last we&apos;ll see of her original nose. Jumping to 2013, Hailey has her red carpet style all figured out. Keep in mind she&apos;s only 16 here—very impressive! This makeup is so gorgeous and creative, with the copper on the eyes and the juicy sheer red lips. Her brows have grown out nicely, and she has adopted a sleeker, model-esque hairstyle. Then, in 2014, Hailey got more experimental with her hair, starting with this shaggy blonde bob. Once more, I wouldn&apos;t have known it was her—and I&apos;m not sure why! Is it the red lips? The angle? Hailey Baldwin at the 2014 launch of Calvin Klein Reveal. Next came this light, brassy blonde, which isn&apos;t quite her colour—and looks a little damaged as well. It might&apos;ve worked better without this dark tan, and with her hair down (she pinned the back up into a bun). The other changes I&apos;m noticing are lumpy lips and a more petite nose, compared to our 2012 shot. Hailey Baldwin at the Topshop and Topman New York flagship opening dinner in 2014. And here&apos;s the moment where Hailey found her red carpet groove. Everything comes together to make a major style statement: the darker blonde hair, braided updo, dramatic brown eyeshadow and brushed-up brows. She looks amazing. I can&apos;t help but notice her new lips. We know from the earlier photos that the top one was always thinner, but now it&apos;s incredibly pouty. Hailey Baldwin at the Topshop and Topman New York flagship opening in 2014. This shot is from the following day, and it looks like her hair is lighter again, although it&apos;s probably just the lighting. The graphic cat eyes and top knot are so adorable! I think this shot is so telling with regards to her lips... they look incredibly pillowy, but there&apos;s just no way that can be natural. Hailey Baldwin at the 2015 Met Gala. Hailey, is that you? For the Met Gala, she went dark brunette—which might explain why I hadn&apos;t seen this photo before now. Probably nobody knew who it was! She looks good both ways, but the blonde gives her "star" quality. Hailey Baldwin at the 2015 MTV Europe Music Awards. That didn&apos;t last long... it was back to a sandy blonde by the end of 2015. With the high ponytail, face-framing Bardot bangs and charcoal-rimmed eyes, she is proving her versatility. Love this look! Hailey Baldwin at the 2015 Night of Generosity Gala. By this time, Hailey was about to turn 19, but has a sophistication that belies her years. The high ponytail makes another appearance (it&apos;s becoming her signature), paired with oxblood lips, long lashes and the same brushed-up brows we saw in 2014. She really looks every bit the model now. Moving into 2016... Hailey rocked a blonde braid with dark roots, super-smoky eyes and pinky-stained lips. At this point, you&apos;ve got be admiring her red carpet style. It&apos;s never predictable, never overdone, and there&apos;s always an element of fun. Hailey Baldwin at the 2016 iHeartRadio Music Awards. Okay, maybe this one&apos;s an exception—I&apos;m not feeling the rooty, messy top knot with long, thin bangs. Also, does she look part-Jenner here or is it just me? Hailey Baldwin at the 2016 MTV Video Music Awards. And now we arrive at my favourite! This was her "Justin Bieber Revenge Look" and the beauty is as great as the wardrobe. I&apos;m in love with her new lob-length hair, with tons of volume and a subtler blonde shade. The makeup is divine, too—it&apos;s there but not there, if you know what I mean. Everything looks natural and sculpted. Hailey Baldwin at the 2017 Warner Bros. and InStyle Golden Globes After-Party. That brings us to 2017, and another risk-taking beauty look: gelled, wet-look hair. If anyone can pull it off, it&apos;s Hailey. Her skin looks more flawless than ever, and notice how she&apos;s not doing the brushed-up brows anymore; her new arches are precise and trimmed. 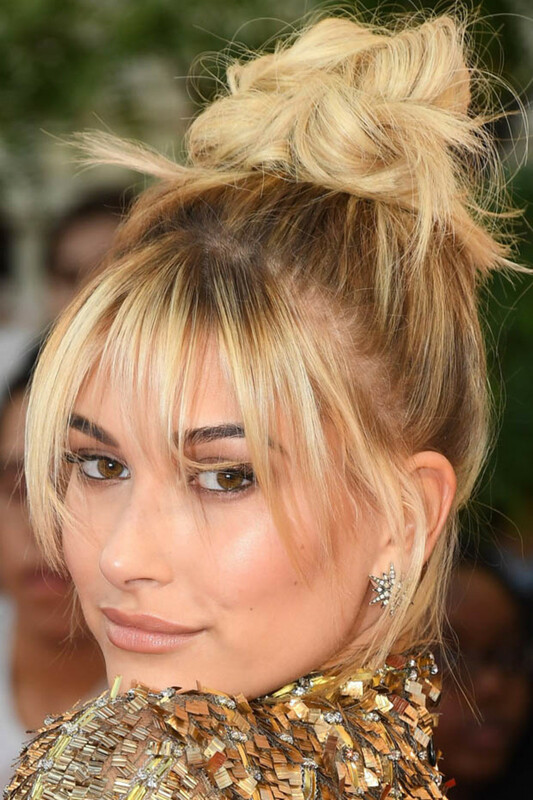 At Hailey&apos;s most recent appearance, her hair and makeup were more low-key than ever. Have you noticed how this happens with celebs? As their fame rises, they start to wear less and less. She opted for the high ponytail again (roots and all) with fresh, peachy makeup, natural lashes and subtle contouring. In this and the previous pic, her lips are back to normal... could the injection trend be waning?! Hailey Baldwin at the Tom Ford fall 2018 presentation. The looks just keep getting better and better! Hailey opted for wet hair (again), at a slightly shorter length, with metallic 360-degree cat eyes. Her skin is incredible, and her lips—if they&apos;ve been filled—aren&apos;t distracting. It all looks really fresh. I&apos;m a fan! Hailey Baldwin in 2011 (left) and in 2016 (right). Now you&apos;re up to speed on how Hailey&apos;s look has evolved over the years. I have to say, she has great style and a great presence. She may not be "on the same level as Gigi and Kendall," as she told People, but she has really grown on me! Besides the hair and makeup (and eyebrow!) changes, one thing that stood out as I was examining these photos is that she ALWAYS angles her face on the same side. There are a few head-on shots, but we haven&apos;t seen the other side of her face since 2011. It&apos;s kinda funny! She has definitely studied her angles. And that&apos;s what makes it challenging to discern whether her beauty transformation has involved anything surgical. "Everybody literally thinks I&apos;ve had plastic surgery," Hailey told the Evening Standard last year. "My mom&apos;s family call her and they&apos;re like, &apos;Did Hailey do her lips? Did she do her nose?&apos; Do people want me to go to a doctor and have them examine my face so they can tell people I haven&apos;t? My face has just matured. I grew into my looks. I do look different than I did when I was younger, but it&apos;s still the same face." I&apos;d love to believe her, but I don&apos;t know if I can. I think I&apos;ve captured enough photo evidence here to suggest a possible surgical procedure (a rhinoplasty, which we&apos;ve seen is basically a rite of passage in Hollywood). 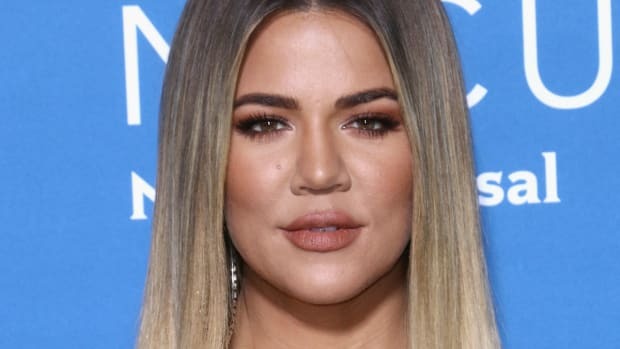 Injections are not surgery, but I think she has dabbled with those too, based on the changing volume of her upper lip. Which is all fine, but it would be great if this stuff could be acknowledged. 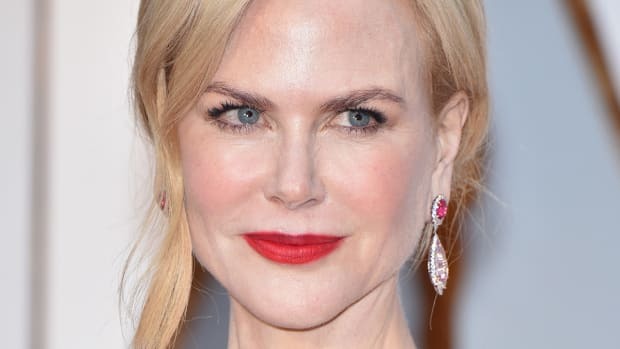 With cosmetic surgery rapidly becoming the "norm," the new generation of models and celebrities is upholding a standard of beauty that is unrealistic and unattainable for most people. I share these Before & After beauty transformations so we can all be aware of what&apos;s behind the image! How do you feel about Hailey&apos;s beauty evolution?